• Multi-Axis Machining Software including Master Cam and Renishaw Productivuty Plus. Is done using CAD solid models. Models are obtained from our customers or created in house if required. Is available in house to assist in creating 3D models of parts where there are none available. Is designed in house using Solidworks software. Each CNC program is validated using Vericut software in order to insure right 1st time programs and minimize initial lead time. 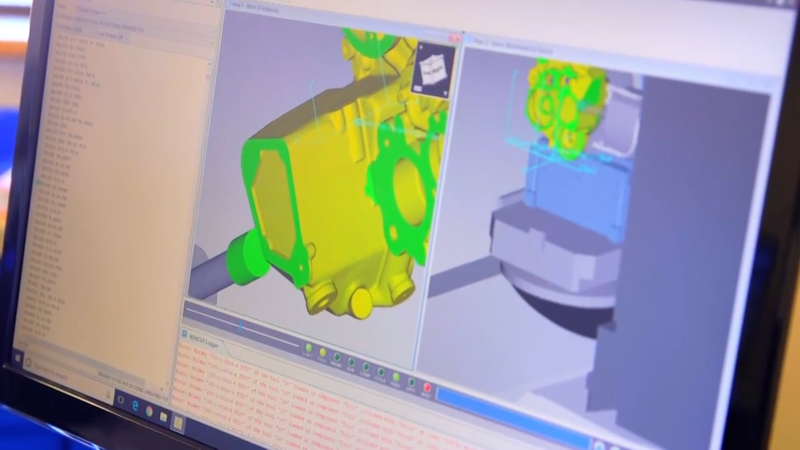 Probing software is used along with Mastercam CNC programming software to maximize efficiency by verifying dimensions, performing calculations and minimizing operator intervention. Is employed in order to maximize our machines capabilities. Parts are built as a solid model using the customers print. 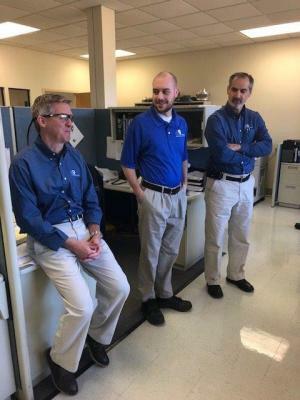 Each model is "cut" away to mimic the process of machining the part with each operation grouped together and operational drawings being created from the model. This software we can handle all of the file extensions our customers use (.stp, .prt, .stl, .dwg, etc.). Every program is verified off line using validation software to ensure that tool paths do not violate the work piece or leave excess stock. All of the work holding is modeled and used during the CNC programing tasks. This insures that there will be no crashes in the machine tool during the prove out. 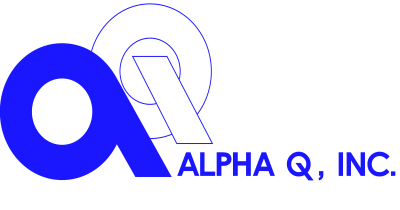 Mr. Couture joined Alpha Q, Inc. in 1980 Engineering and held various roles throughout his career including Quality Manager, Process Engineer, Programmer and Draftsman. Mr. Couture was appointed as the Engineering Manager in 1999.